The 25th annual Garden Fair Weekend at Klehm Arboretum continues to grow each year, thanks to the tender loving care of hundreds of volunteers, gardeners and others who appreciate and want to nurture the earth’s beauty. 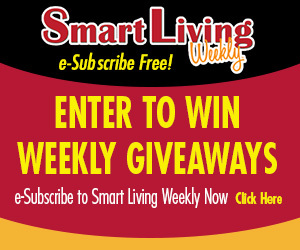 Congratulations to Ruth Kula, of Rockford, this week’s Smart Living Weekly giveaway winner! Ruth takes home 2 Passes to the Nicholas Conservatory & Gardens, in Rockford. This entry was posted on Wednesday, May 23rd, 2018 at 5:00 am	and is filed under Arts & Entertainment News & Events, Business News & Events, Mind & Spirit News & Events, News & Events, Smart Living Weekly, Smart Living Weekly. You can follow any responses to this entry through the RSS 2.0 feed. Both comments and pings are currently closed.